Growing up in North Korea, Hyeonseo Lee believed her country was the best in the world. Living in the notoriously secretive communist regime, where she was brainwashed with state propaganda, Lee had no reason to believe that life was better outside the country. 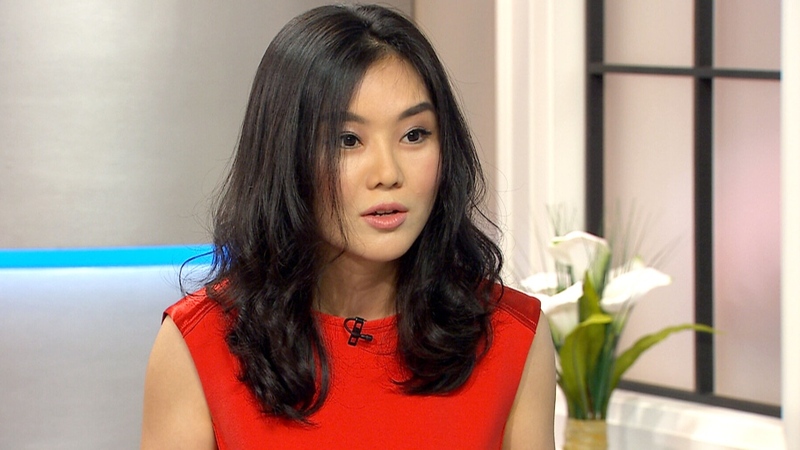 "As a child, every North Korean is very happy," she told CTV's Canada AM. "We were very happy, because we learned horrible things about the outside world, like in America and Japan. "We thought they were suffering, that's why we were very happy… but in reality we were living under fear." Lee, who now lives in South Korea after escaping the country at the age of 17, said the North Korean government carefully maintains an environment of fear through the use of threats, spies and public executions. She herself first witnessed an execution at the age of seven, and quickly learned that she had to live by her country's rules to avoid a similar fate. "The public executions were reminding us all the time that if you disobey the country you can be killed exactly as the victims in front of you," she said. "It was very shocking to us, but (if) you're watching the executions every time, you take it as normal life." Lee shares details about her life growing up in North Korea, her eventual escape, and her harrowing efforts to reunite with her family, in her new memoir "The Girl with Seven Names." North Korean officials encourage citizens to spy and report on others, which helps maintain a culture of fear and mistrust, Lee said. "Inside North Korea, we have many informants and spies watching everyone; they're paid by the government," she said. "Even a husband and wife can't trust each other." As a result, even those citizens who have some idea that life is better outside the country can't share this information, Lee said. Talking about politics is avoided, and if you are caught doing so, you can be sent to a government camp where you could be killed and your family could be punished, she added. "If you're smart it causes more problems," Lee said. "You should be ignorant to stay safe in North Korea." But it was ultimately Lee's own curiosity that led to her eventual escape. Living near the North Korean-Chinese border, Lee said she began to compare her life with what she knew about China. She wondered why, for example, North Koreans suffered power outages while China had streetlights. She could also pick up Chinese TV signals, which allowed her to illegally watch Chinese TV programs. "It was fascinating to me," she said, noting that she began to wonder why North Koreans couldn't do basic things like wear jeans or dye their hair, but the Chinese could. "I just wanted to find out the answers." Then in 1997, as a devastating famine spread through the country, she started to question how this could be happening. "I saw people dying in the streets," she said. "It was shocking to me. I thought people died (of starvation) in movies." So on a wintry day, she took the risk and walked across a frozen river, crossing into China, where she lived for more than a decade before eventually making it to South Korea in 2008. She continues to live in South Korea, and even helped her mother and brother get there, as well. But even inside South Korea, Lee takes precautions to protect herself and her family. She has changed her name seven different times throughout her life, selecting "Hyeonseo" – which translates into "sunshine" and "good fortune" in English – as the name that she goes by in South Korea. "Even after arriving in South Korea, it's dangerous," she said. "As a North Korean defector, I need to be careful from the spies to protect my relatives inside North Korea." 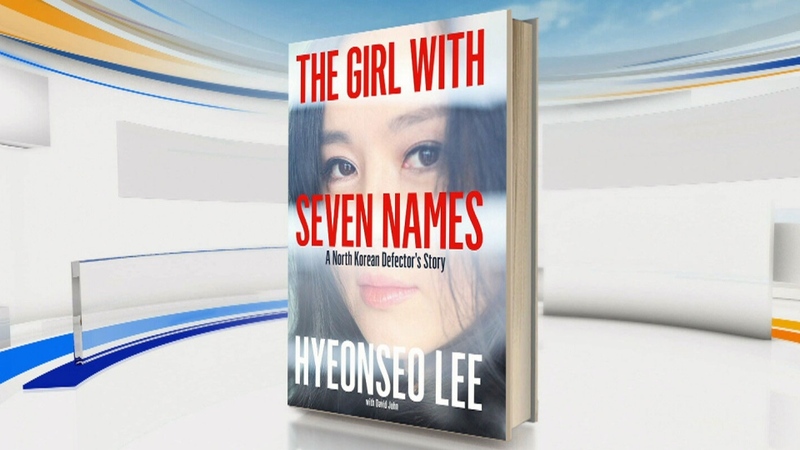 North Korean defector and author of 'The Girl with Seven Names' Hyeonseo Lee speaks with CTV's Canada AM in Toronto on July 13, 2015. Hyeonseo Lee's "The Girl with Seven Names."